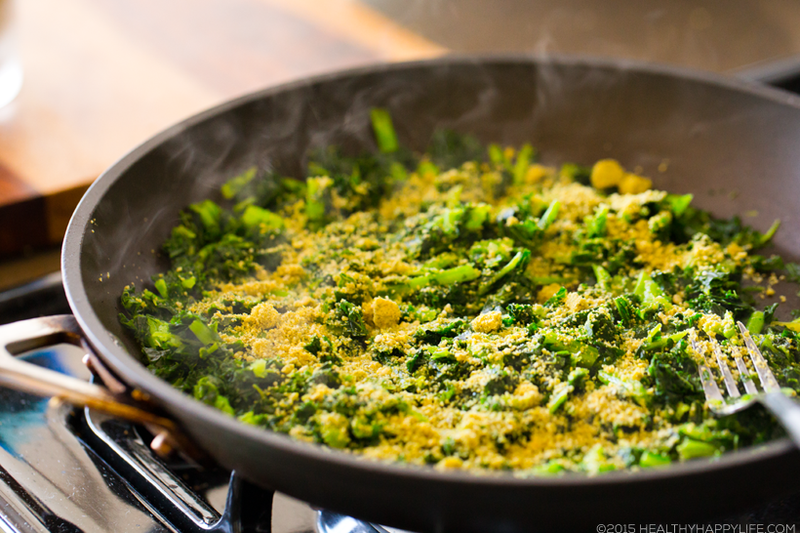 Easy Cheezy-Tahini Skillet Kale, in 5-Minutes! 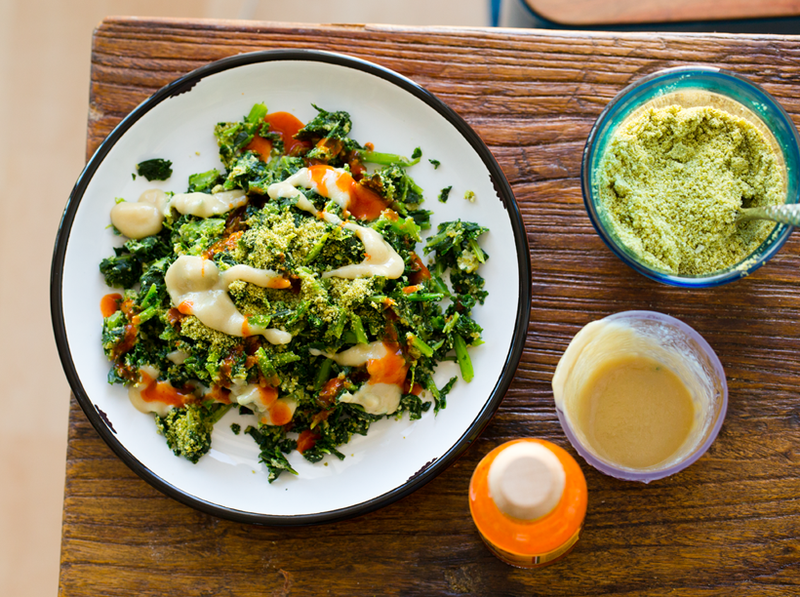 kale + tahini = yes yes yes. 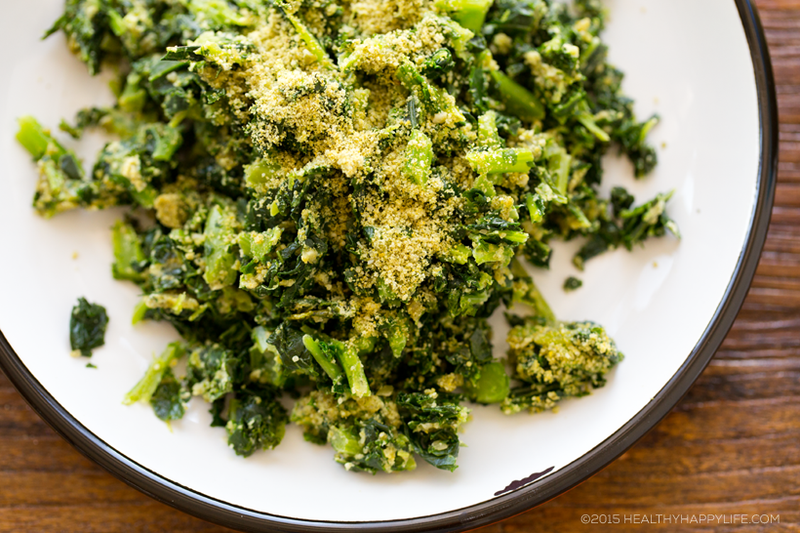 This dish is delicious as an easy green side dish or snack. 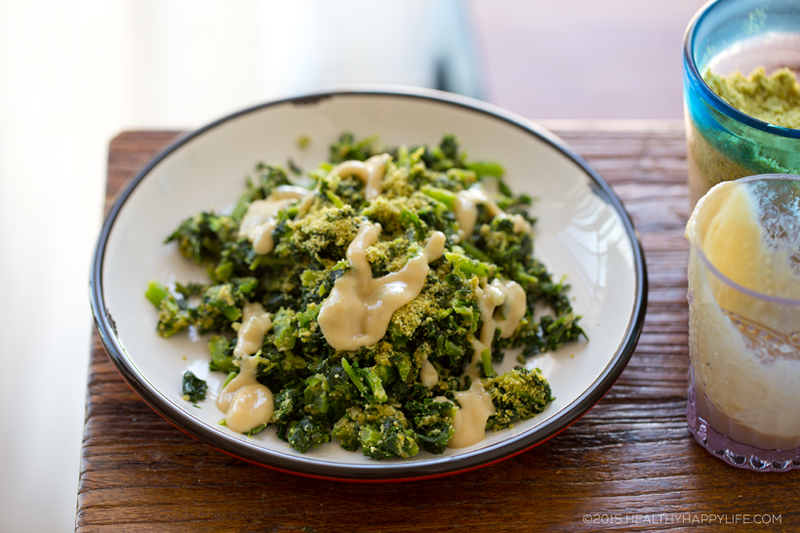 You could also make it a meal by adding a side of chickpea avocado toast, tempeh triangles or tofu. 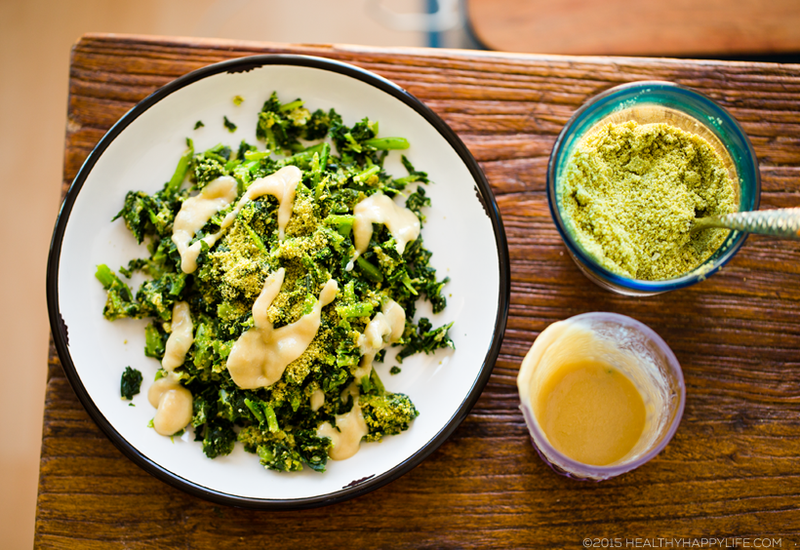 Fold in the cheezy sprinkle - homemade using a Vitamix or food processor! Sizzle things around a bit, fold in those flavors.. I like to add MORE cheezy sprinkle first.. 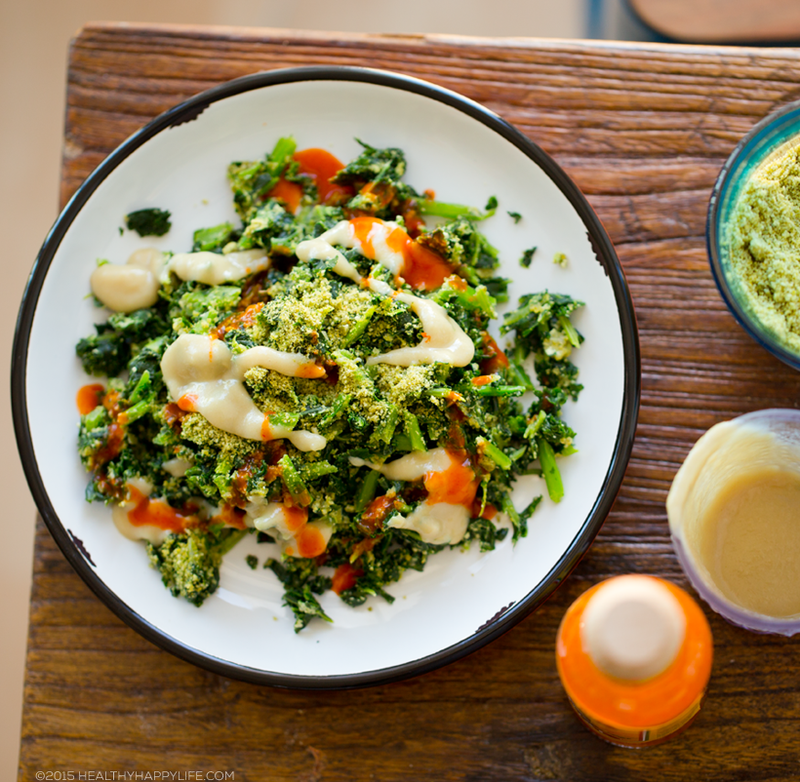 The tahini-maple sauce - 3 ingredents! 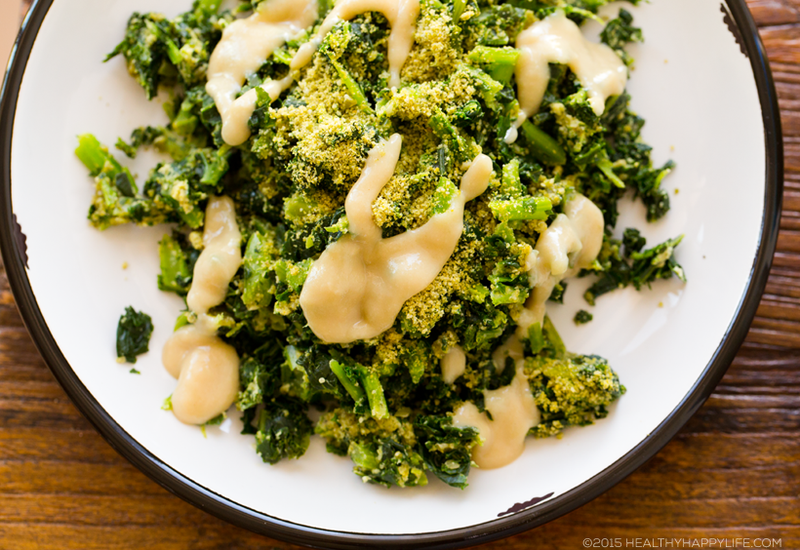 Easy kale side dish or salad featuring cheezy and creamy-tahini flavors. Savory and sweet all in one. Warm a skillet over high heat. Add in the kale and water or broth. Cover with a lid to speed up the cooking process. 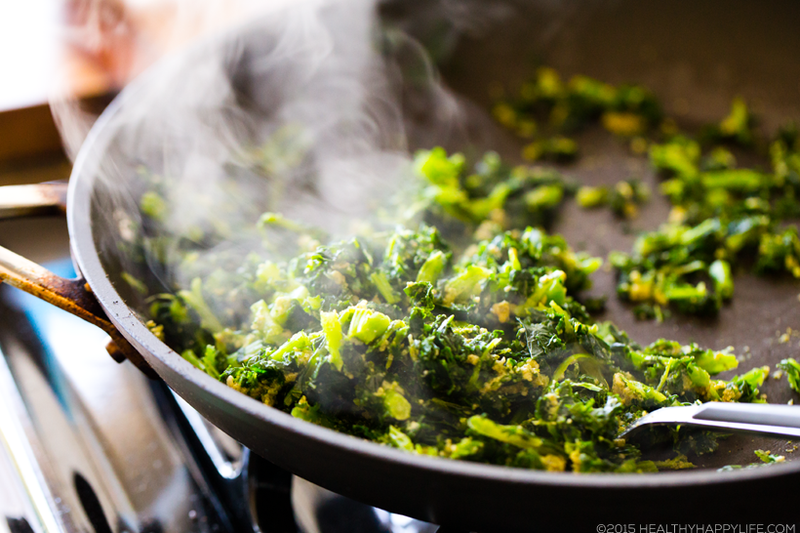 Cook until the kale is cooked through and all liquid has been cooked off. 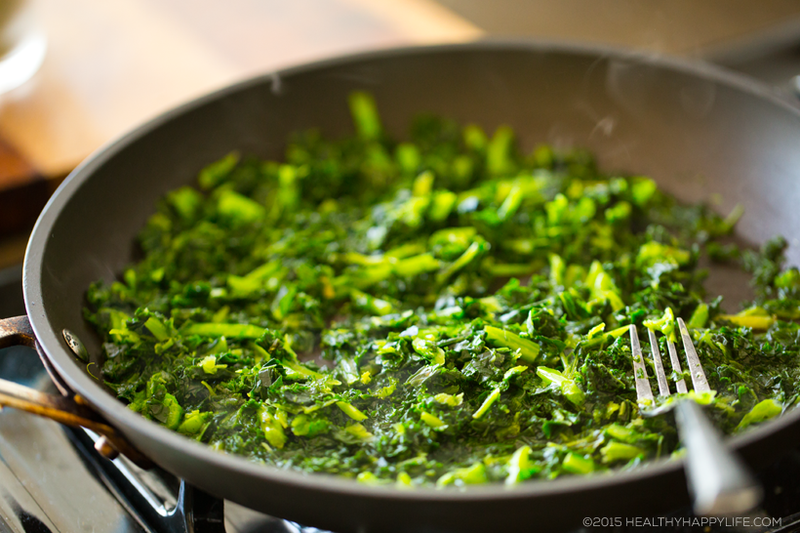 If using fresh kale, you will definitely want to cover with a lid to help wilt the kale down. 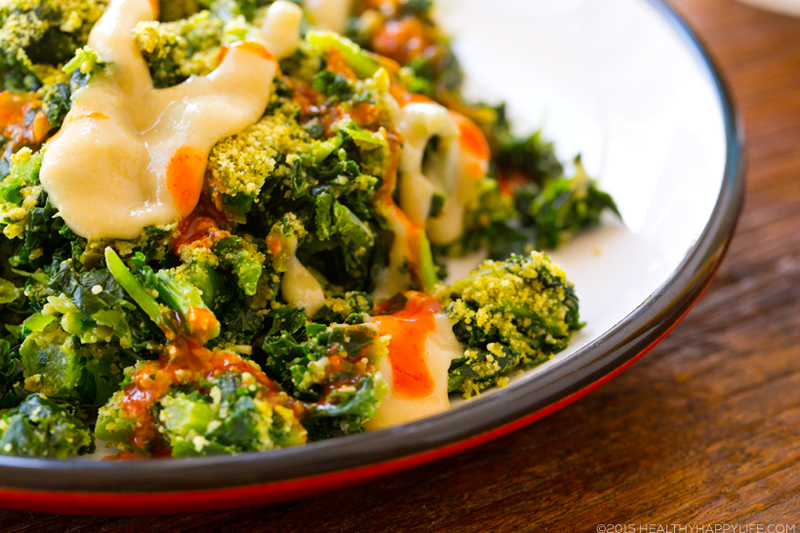 Turn heat to low and sprinkle 1-2 Tbsp of the cheezy sprinkle over top the kale. 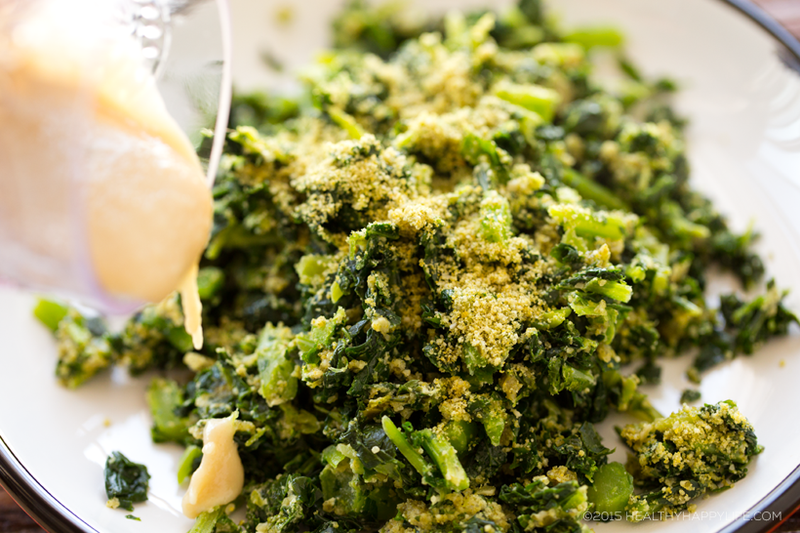 Fold it into the kale. 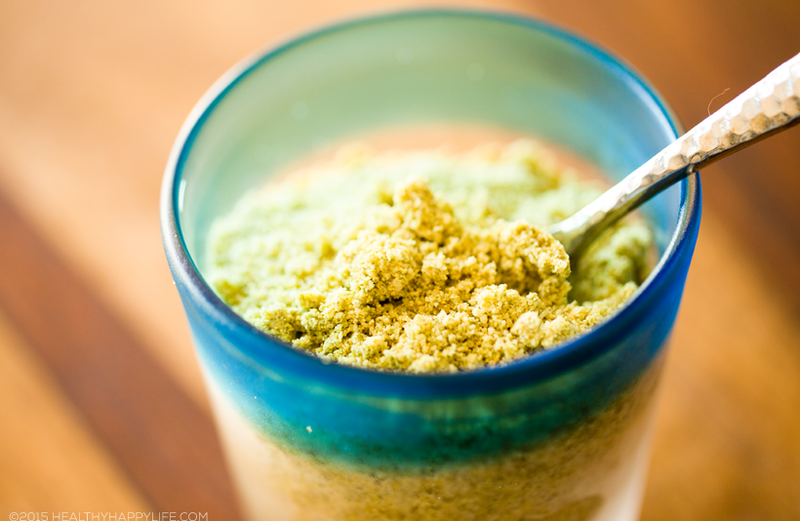 This helps to 'dry out' and excess liquid on the kale as well, for better flavor. 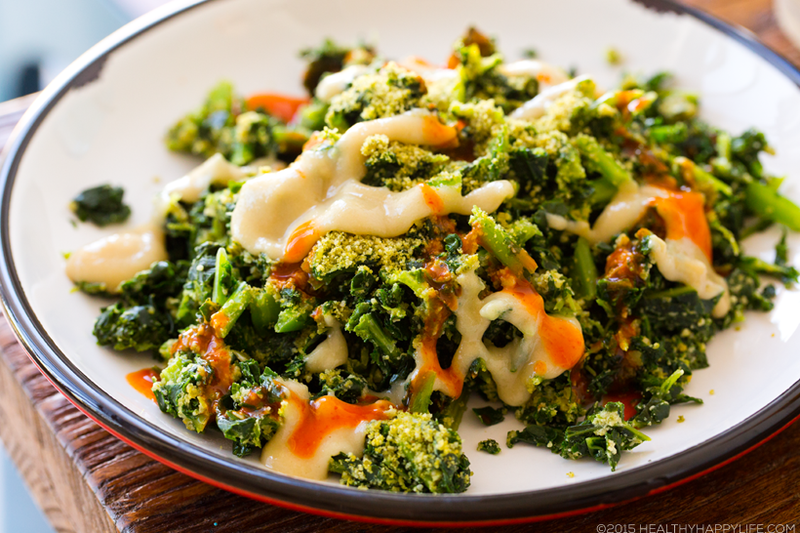 Cook for one minutes, then add another sprinkle of the cheezy topping - to taste. 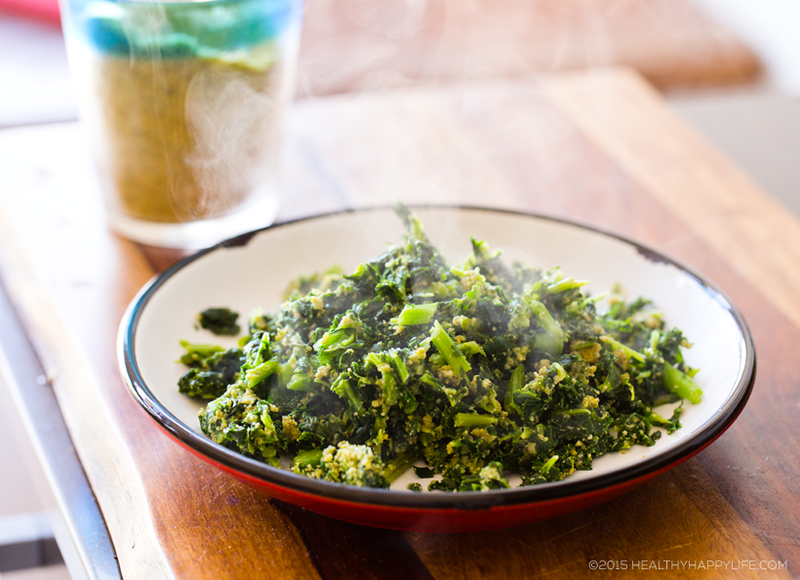 Turn off heat and transfer kale to serving plate. 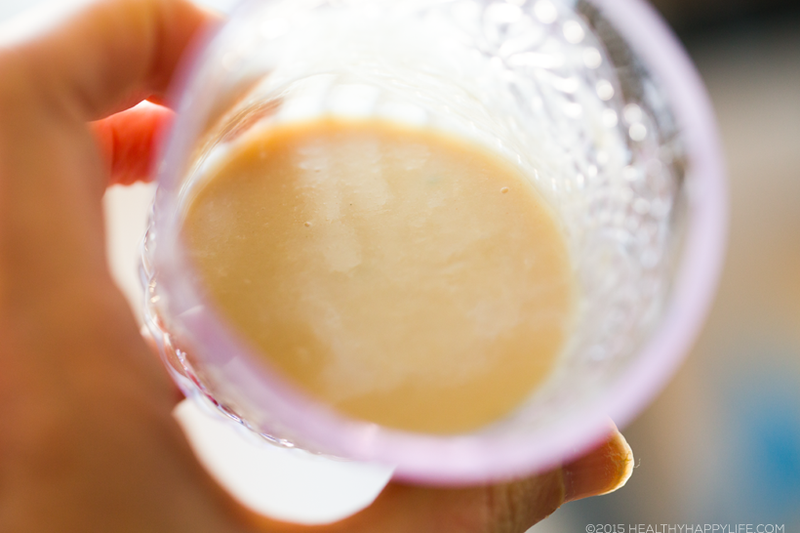 Whisk the tahini sauce together - stir until creamy. 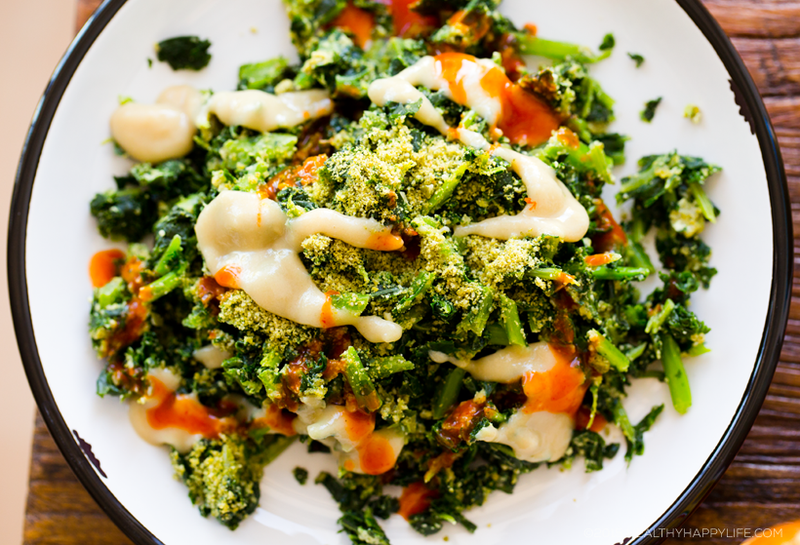 Drizzle over top the kale. Add additional cheezy sprinkle if desired. 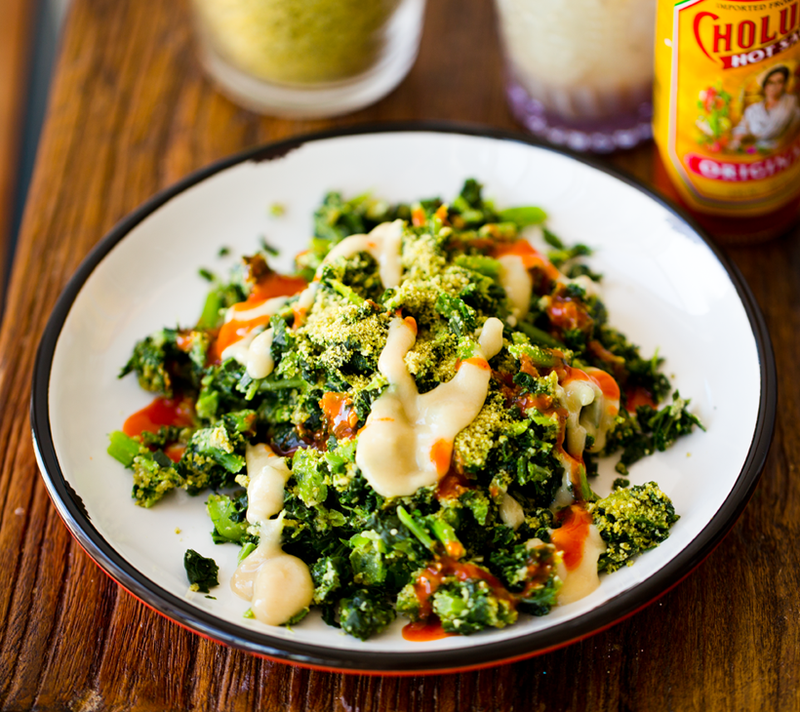 Drizzle hot sauce over top as well. Serve warm.